Having a pool party? You definitely need something so colourful to made your party more happening and fun! Let's add a little bit more colour to all your pool party now with some GIANT and colourful floats from Where To Float today! Where To Float is a float rental services from Penang. They are providing all sorts and all kinds of floats for rental in Penang. Being one of the best cafe in Penang, DCOVA is celebrating their 2nd anniversary this year! In conjunction with the 2nd anniversary, DCOVA also introduced their 2 new pasta flavours and one of them is available for LIMITED TIME ONLY! Stepping into 2nd anniversary, DCOVA is still standing strong in Penang as one of the best cafe in Penang that could serve very nice pasta. DCOVA also introduced their 2 new pasta flavour, the Chicken Teriyaki Pasta and Sakura Ebi Pasta. DCOVA is still my favourite cafe whenever I think of having a decent lunch or dinner. I would always recommend this place to all my friends who asked "Where can I find good pasta?" The only problem would be the car park, especially during afternoon time as this area gets quite busy. Talk about Ramadhan Buka Puasa Buffet, one of the restaurants that offers the most variety of food would always be Sarkies in Eastern & Oriental Hotel. 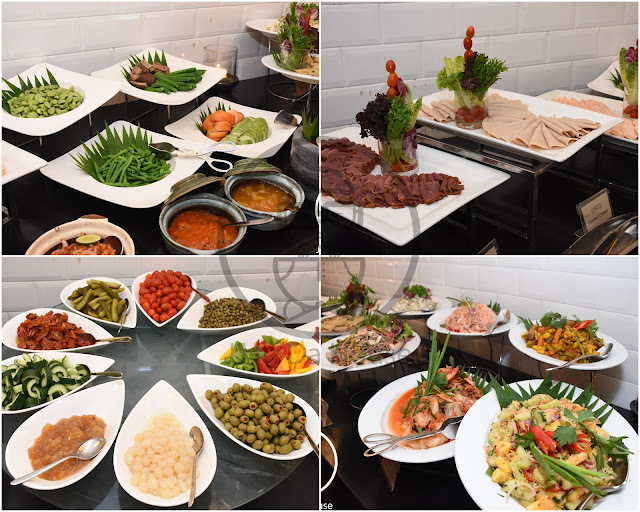 This year E&O Hotel is offering their Selera Kampung Ramadhan Buffet available from 6th June 2016 to 5th July 2016 to celebrate the holy month of Ramadhan with feast that comes with traditional dishes, western delights, local specialties, mouth watering kuih-muih and many more. Varieties is one of the best attraction to Sarkies every year. All the way from appetizers, soups, to mains, savories, desserts and many more. Labels: buka puasa feast, E&O Hotel, Eastern & Oriental Hotel, Hotel Buffet, Ramadhan buffet, Sarkies. Ice cream lovers like me would never want to miss another chance to taste new ice cream. Especially unique ice cream flavours that would attract most people with their creativity. Those who have read my previous post about the opening of the first Magstore mini supermarket in Malaysia would know that I've tried several ice cream flavours at Magstore Gurney Paragon. In case if you have not read my previous post yet, here's the link: http://www.jjzai.com/2015/12/grand-opening-of-mag-store-malaysia.html about their special flavours and also the beautifully presented ice creams that successfully captured the attention of all Penangites. So ever since my first visit to Magstore, I've been going back very often sometimes to grab some snacks, sometimes to have their ice cream. With no doubt that their ice cream flavours are really creative and attracted me a lot. For this quarter, they are lauching their 4 new flavours, which are sour, sweet, salty and spicy. All flavourings are mainly with natural and healthy ingredients. Soft and milky Yoobi Ice Cream! The First Vespa Boutique in Penang@ Sin Sum Sun Motor! Being one of its kind, The very first Vespa Boutique is now opened in Penang! It is located at Naning Street, somewhere off Macalister Road at the heart of George Town, Penang. Naza Premira Sdn Bhd is the official distributor of Vespa scooters in Malaysia. They have just revevealed its latest model for the local market, the Vespa S125 during the opening event of Vespa Showroom in George Town Penang, which is the Vespa Penang (Sin Sum Sun Motor). They have also painted a large wall mural on the all new Vespa Penang Showroom, featuring also the Vespa scooter on the wall. It's time for seafood feast and also time to get your hands dirty! Time to put away all the cutleries and eat with your hands! Serving seafood on table has becoming a latest trend in restaurants these days. Being one of the iconic beach side hotel, Lone Pine Hotel also come out with their latest promotion call "Crabby Claws"! From the name of their promotion we can tell that it has got something to do with crabs. Indeed they are following the current trend and now serving seafood feast on the table for this promotion!